Wednesday, May 20th, 2015, 6:00 to 8:30 p.m.
Join us for a lecture, cake competition, and member reception in honor of the 150th Birthday of the Wagner Free Institute of Science’s historic building. In 1865 Philadelphia was a city on the edge; a city on the edge of grief; a city on the edge of growth; and a city on the edge of genius. That year saw Philadelphia’s joy of Northern victory dashed by the overwhelming shock and grief brought on by the assassination of Abraham Lincoln. Less acute, but even more sobering, was the growing realization in 1865 that Union victory and the abolition of slavery were by no means the end of race problems in the City of Brotherly Love. 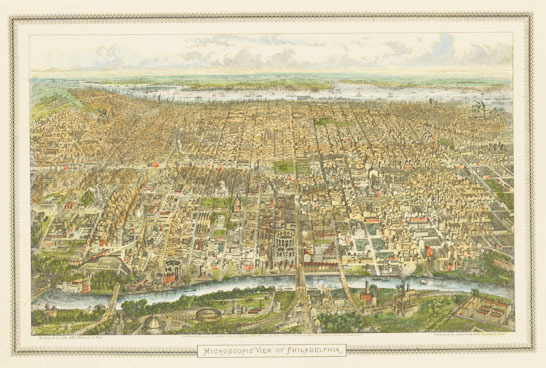 In 1865 Philadelphia commenced the most rapid physical growth in its history; by century’s end the built portion of the city had more than doubled in size. Finally, 1865 was the year when the genius of local entrepreneurs, both individually and collectively, through the efforts of scientific, benevolent, and educational associations, achieved the critical mass that launched Philadelphia into modernity. For this event we will also be running a cake competition that gives entrants the opportunity to represent the Wagner in cake. Entries are being accepted until May 1st, 2015. All information about the competition, including deadlines and baking parameters, can be found on the Wagner’s website. Following the talk, at 7:30 pm, Wagner members are invited to join us for the Annual Member Reception. Members are welcome to bring one guest to the reception. Non-members and extra guests are asked to pay $10 to attend the event. For more, visit the event page on the Wagner’s website.